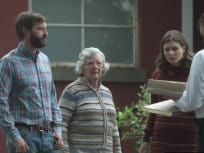 "The United States of America versus Theodore J. Kaczynski"
On Manhunt: UNABOMBER Season 1 Episode 8 Ted pleads guilty to the UNABOM crimes and is sentenced to life in prison after he fails to have state's evidence overturned. 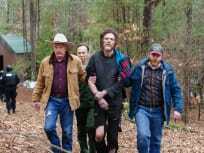 On Manhunt: UNABOMBER Season 1 Episode 7 when the FBI mounts a massive operation in Montana to arrest Ted, it’s up to Fitz to amass the evidence needed for a judge to grant them a search warrant. 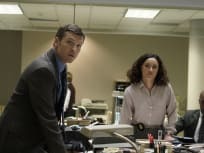 On Manhunt: UNABOMBER Season 1 Episode 6 after his Manifesto is finally published, Ted Kaczynski wrestles with the question of what to do next. After reading the Unabomber’s Manifesto, David Kaczynski sends a sample of his brother Ted’s writing to the FBI for a comparative analysis. 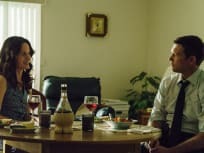 Fitz believes that Tedisthe Unabomber and takes extreme steps to gather the proof he needs to convince his bosses at the UTF that he has their man. In 1995, the Unabomber offers to stop bombing if his Manifesto is published. Fitz puts everything on the line to push for publication, devising a massive operation to uncover the Unabomber’s identity. 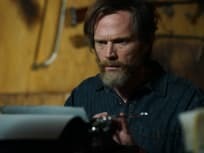 On Manhunt: UNABOMBER Season 1 Episode 3 In 1995, Fitz works with linguist Natalie Rogers to find more clues about the Unabomber’s identity in the Manifesto, but Fitz’s conclusions face deep skepticism at the UTF. 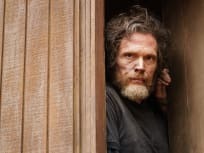 On Manhunt: UNABOMBER Season 1 Episode 2, Fitz is not only instrumental in bringing FC to justice, but he's tasked with getting Ted Kaczynski to plead guilty. 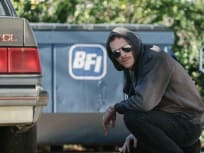 On Manhunt: UNABOMBER Season 1 Episode 1 FBI agent Jim "Fitz" Fitzgerald graduates as a profiler and is immediately assigned to the Unabomber case.